Karen and the horses have arrived safely in St.Moritz, where they are now getting used to the cold! However Karen is more concerned with the altitude sickness that is affecting her at the moment. 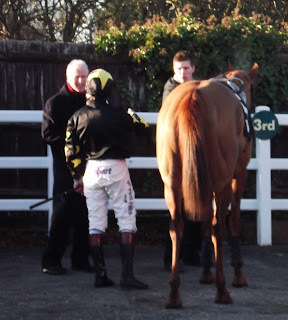 Knock Boy picked up some more prize money at Plumpton today when finishing 3rd in a 2 mile novice handicap chase. Under Richard Johnson he took over the lead approaching the railway bend and seemed to be going easily. However he could not go on when challenged two out and had to settle for third place. 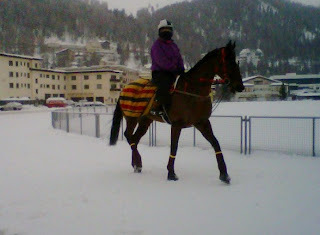 Karen has set off with Calypso Magic and Spirit of Xaar to race on the ice (frozen lake) at St. Moritz. At the time of this posting the temperature there is -6.8 C. Forecast for later this week is Maximum 0 C minimum -11 C. Hopefully she has packed her thermals! Today's trip to Plumpton proved to be very rewarding. 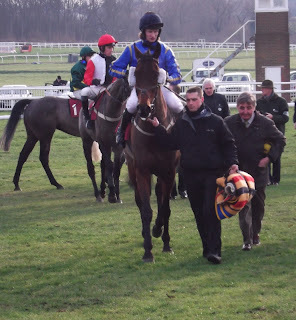 It began with She's Jolly in the novices chase. 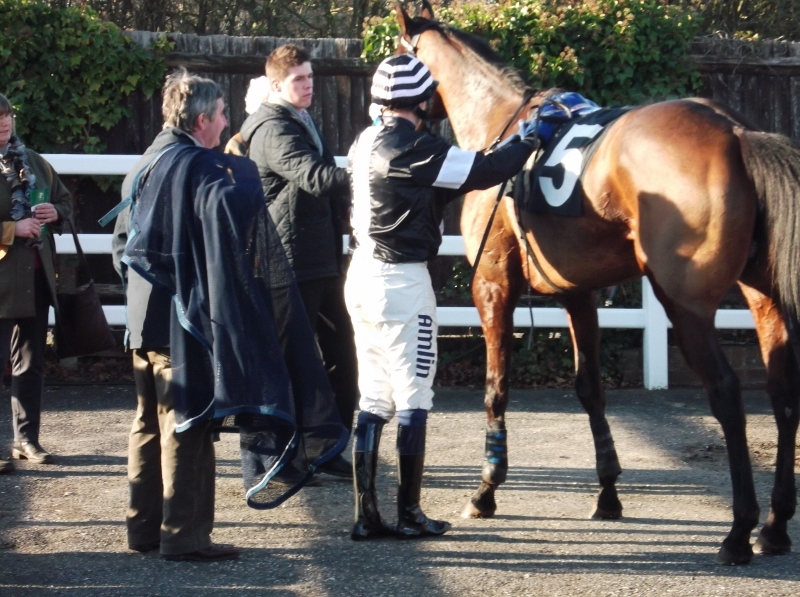 Linda had done well to find a small field of 5 for her second ever race and first run over fences. This then got better as two horses pulled out due to the ground meaning that a clear round would guarantee her owner a prize ﻿of over £700. She stayed with the other two until the pace increased rapidly at the bottom of the hill, but a good round of jumping saw her claim the third place prize and learn a lot for the future. 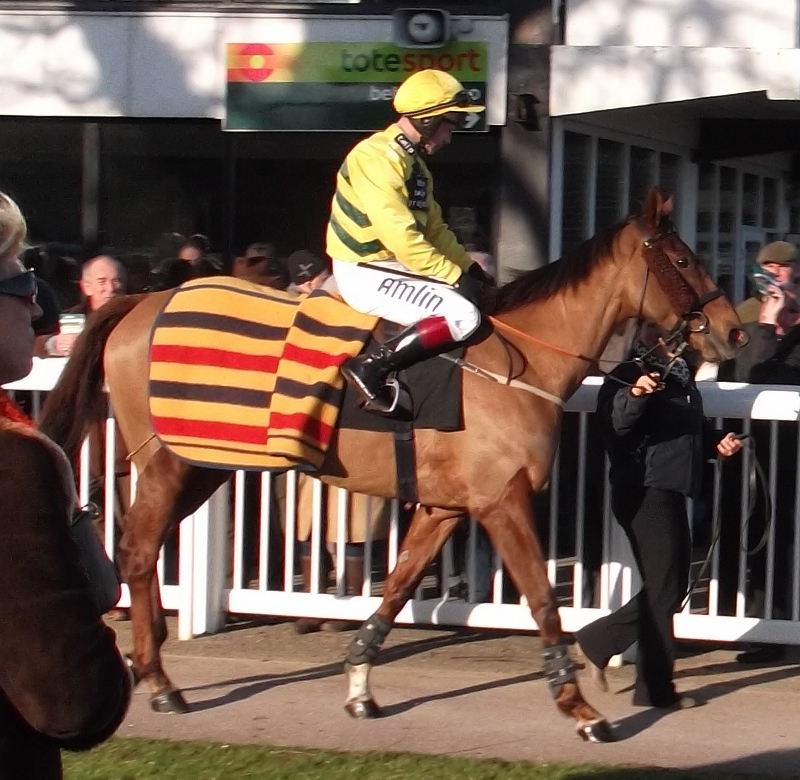 The very next race saw She's Humble attempt to win the 2 mile handicap chase for the second year running. There was concern over the tacky ground (which she doesn't like), the missing out of two fences due to ground and sun (the more jumps the better for her) and the in form odds on favourite. However under a great ride from Richard Johnson, she overcame some bumping at the first two fences to pull away with the favourite going down the final hill. The favourite pulled a couple of lengths clear round the railway bend, but then Richard asked her for a final effort after two out. 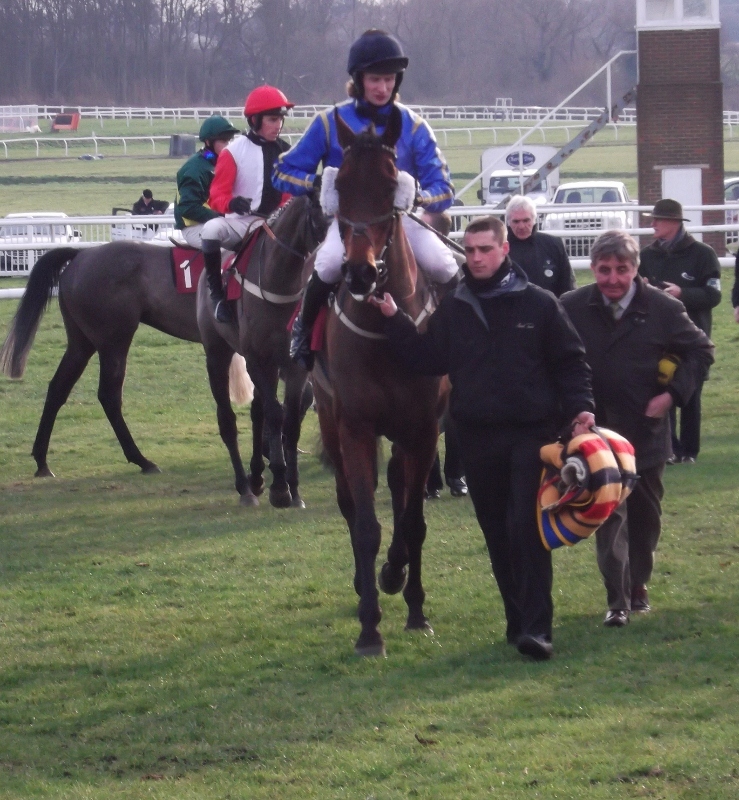 She drew level over the last to go on to win by a couple of lengths. The next race saw Fifi L'Amour run in the mares novices hurdle. She started at odds of 50/1.